Corporate Interior. 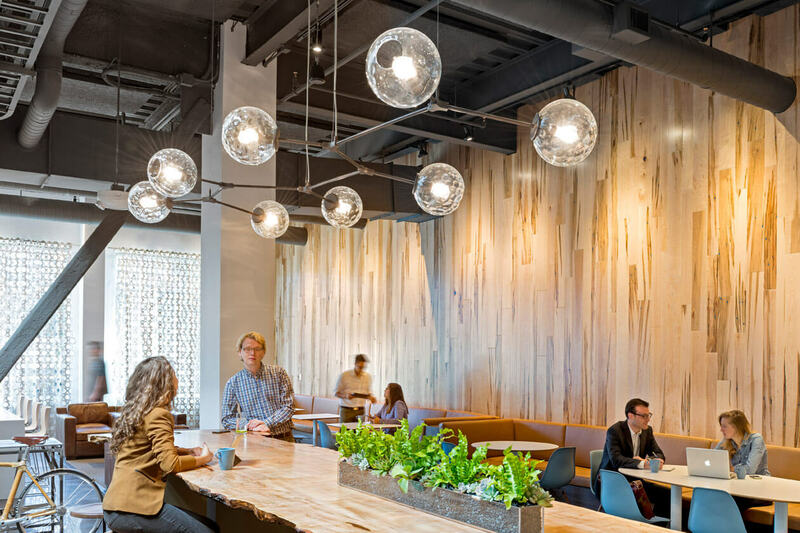 Meticulously hand-blown glass globes hang like glowing thought bubbles over a communal table at the WS Development Cafeteria. The globes are connected by a metal skeleton in metallic bronze, suspended by cable.